One of the world’s leading conservatories, the Curtis Institute of Music has produced such legends as Leonard Bernstein and Samuel Barber and current stars Juan Diego Flórez, Alan Gilbert, Hilary Hahn, and Lang Lang. For five years the Arts Arena Curtis Institute of Music Award has recognized a rising Curtis star graduate for excellence in performance. This year, the Arts Arena is proud to present the award in partnership with La Monnaie de Paris to pianist Pallavi Mahidhara. Having made her orchestral debut at the age of 10 and her first appearance with a major orchestra at the age of 14, with the National Symphony Orchestra in Washington, DC., at age 15, she was awarded the “Most Promising Young Pianist” by the prestigious Verbier Academy in Switzerland, and while still a student at Curtis, on a few hours’ notice, stepped in for Van Cliburn at the Liberty Medal Award ceremony, honoring former Soviet leader Mikhail Gorbachev. She has won or been a medalist at major international competitions and has performed in venues ranging from the Kennedy Center in Washington DC, to Chicago Symphony Center in Chicago, Auditorio Nacional de Música in Madrid, the National Centre for the Performing Arts in Mumbai, National Concert Hall in Beijing, China, City Hall in Cape Town, South Africa, and the Grand Hall of the Dimitri Shostakovich Philharmonia in Saint Petersburg. She has worked with renowned Indian Classical violinist Dr. L Subramaniam in Bangalore and thrice participated in the prestigious Marlboro Music Festival, headed by Richard Goode and Mitsuko Uchida. Her musical interests run from standard classical works, to music of contemporary and living composers, to crossover projects fusing the classical world with hiphop, jazz, and folkpop artists. She has collaborated with the multi-Grammy Award-winning ensemble, “eighth blackbird”, with performances of Steve Reich’s Double Sextet. 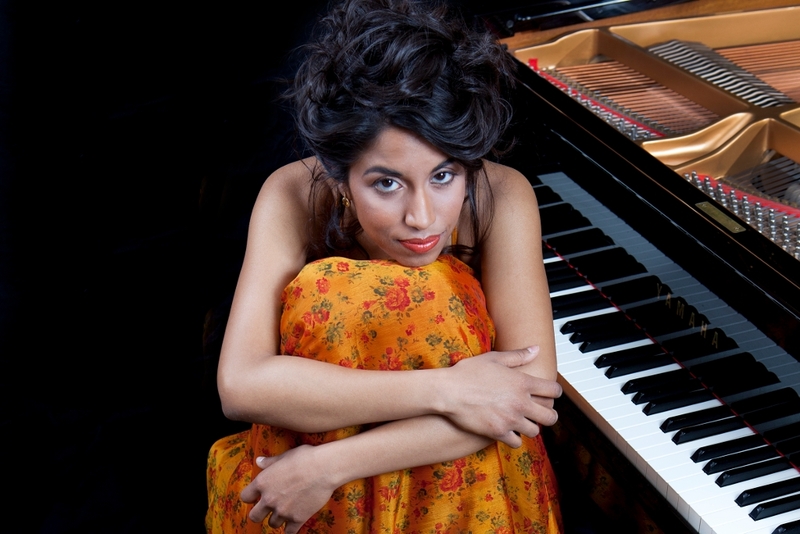 Ms. Mahidharawill play a program of Berio, Ravel, and Schubert. The concert will take place in the magnificent rotunda of La Monnaie de Paris and will be followed by a reception with the laueate. An Arts Arena 10th anniversary event. A private coupe de champagne for ArtsArenaPLUS members will take place before the concert.